PLEASE NOTE – All rentals booked online need to be confirmed via phone or email before they are set. We do our best to keep the schedule updated as frequently as possible but there are blocks of time that are reserved for “Instructor Only Use” that have yet to be updated. 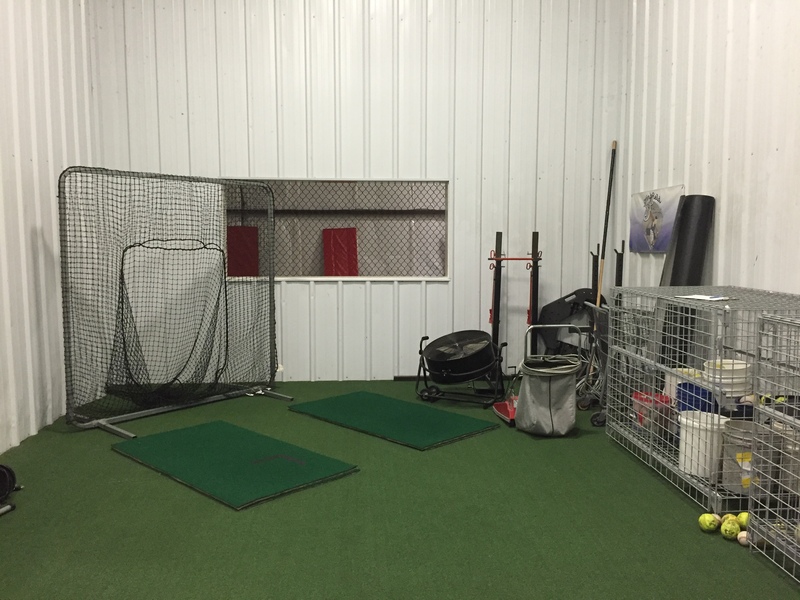 To search for batting cage – turf field – tee room availability, please click here. All of our cages are retractable. The lengths listed are the maximum distance they can be pulled back. If you need a certain amount of space please contact us ahead of time! Roughly 120 Feet in length x ~42 feet in width. This space has retractable netting on 3 sides as well as a wall on the other so it’s fully enclosed. 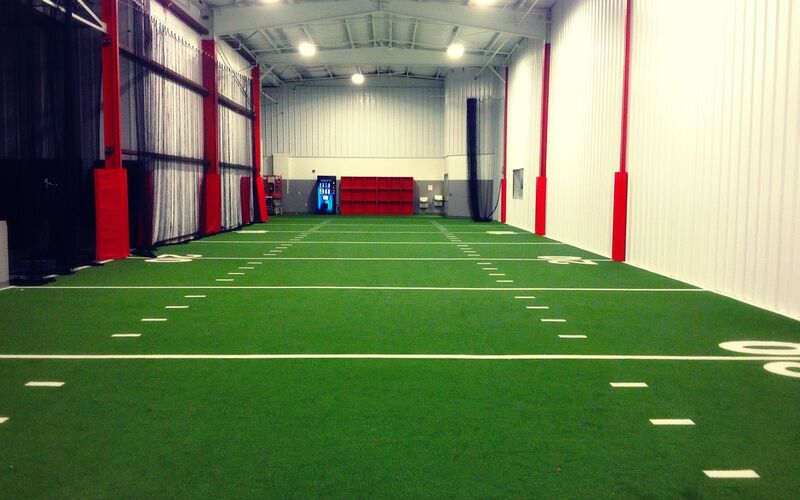 The space is ideal for when the weather doesn’t allow teams to get outside. High quality turf can be used for games for younger athletes or it can serve as a great area for practice or camps for older athletes. 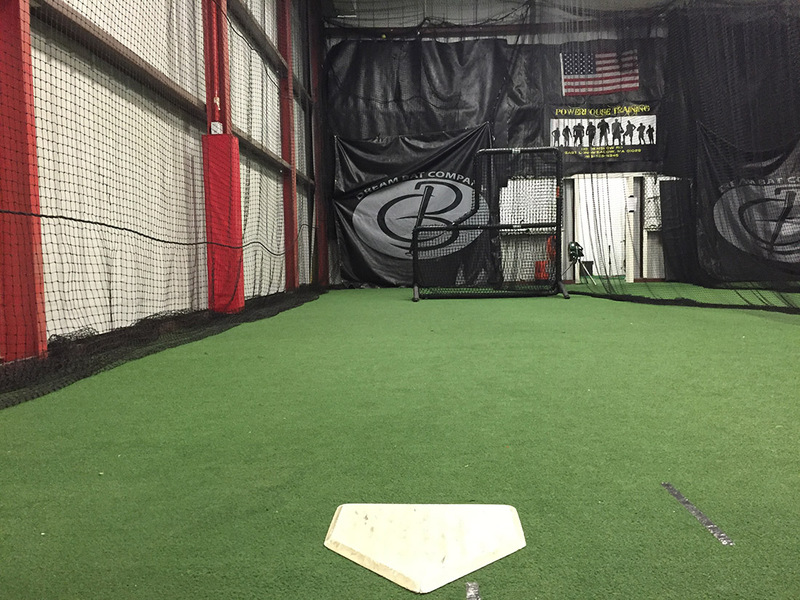 2 soft toss nets provide ideal space at discounted rate where players can focus on swing mechanics via batting tee or soft-toss work.